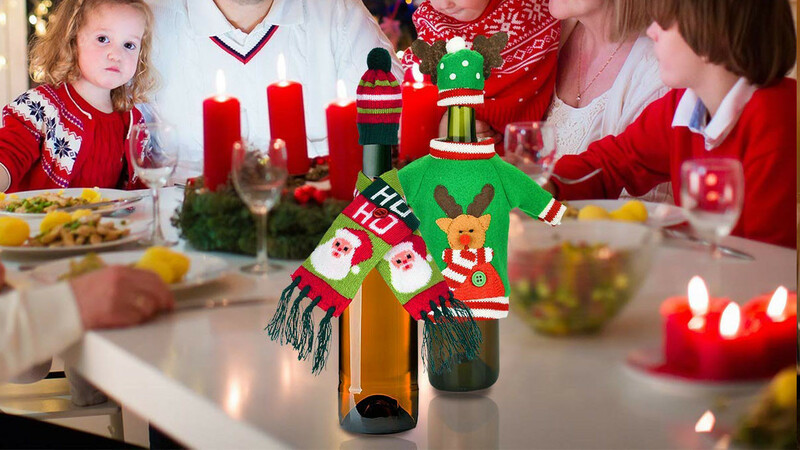 Christmas sweater wine bottle covers. This set of six ugly Christmas sweater wine bottle covers is perfect for the holiday season. They are not just for wine because they will fit any bottles. The set includes everything you need to dress your wine for the holidays. These wine bottle covers feature classic Christmas designs and colors. Each set contains three scarves, three ugly Christmas sweaters, and six cute winter hats. These will look amazing on your holiday table or you can use them to decorate gifts in a fun way.